If you are looking for a printer friendly version of the First Series, with all of the episodes on one document, you can find it here. "The X-files" TM and © (or copyright) FOX and its related entities. All rights reserved. 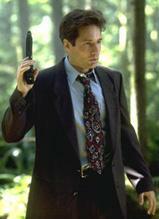 All pictures from the X-files are © Twentieth Century Fox Film Corporation and Ten Thirteen Productions.